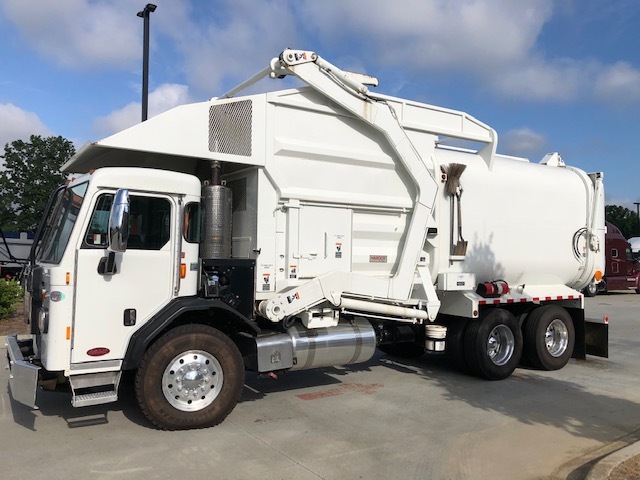 2018 Peterbilt 520 with 370HP/1250 Paccar PX9 with Jake brake; Allison 4500RDS 6-speed automatic; 20000# FAWR; 46000# RAWR; and 66000# GVWR. Hendrickson Haulmaax suspension; full lockers plus Bendix Smart ATC automatic traction control. Equipped with Amrep AMHFLPO-21 40YD Front Loader. Body S# 17414. Price includes FET.